Well it looks like the world is going to end with us all smelling like cute little kitties. For some odd out of this world reason international perfume company Koto Parfums will be releasing a Hello Kitty themed perfume. 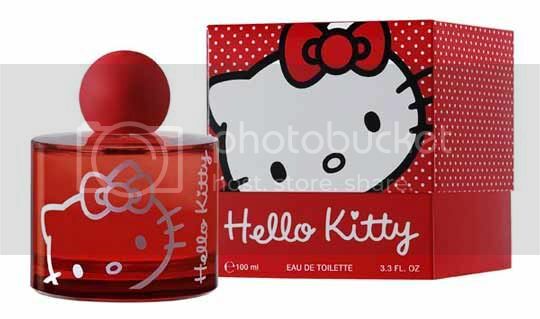 I'm not sure how they imagined Hello Kitty would smell like but according to the source the scent includes apple, cherry, jasmine, praline, musk and vanilla. I'm pretty sure there's cat piss in there but they're just not telling us. No pricing and actual release date was mentioned but I'm pretty sure it's close. Let's just hope we can easily detect this scent so we can immediately identify who among us is infected with Hello Kitty Madness! It has every kind of geek cologne or gamer cologne or perfume you can think of, and more!